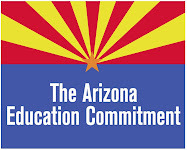 Arizona Education Network: Tucson Community-Wide Forum on Proposition 100 Thursday, April 22! Tucson Community-Wide Forum on Proposition 100 Thursday, April 22! After the panelists give their presentations, they will answer questions from the audience. The success or failure of Prop. 100 will have widespread consequences for the entire community, affecting not just your neighborhood school but also your property taxes, emergency room waits, job losses and the affordability of a university education.